Every spring in southern Washington, Mt. Adams & the Goat Rock Wilderness begin to drain themselves from a long winter of rain and snow. The remote and secluded Klickitat canyon passes through some of the most picturesque scenery around. The journey will start up in a forested gorge, filled with giant pine and oak trees and towering basalt walls and end up with a giant desert canyon. On this trip you may see deer, elk, osprey and plenty of whitewater! Our trip will take one through 17 to 21 miles (depending on water level) of breathtaking scenery, not to mention more than 10 miles of back-to-back rapids. 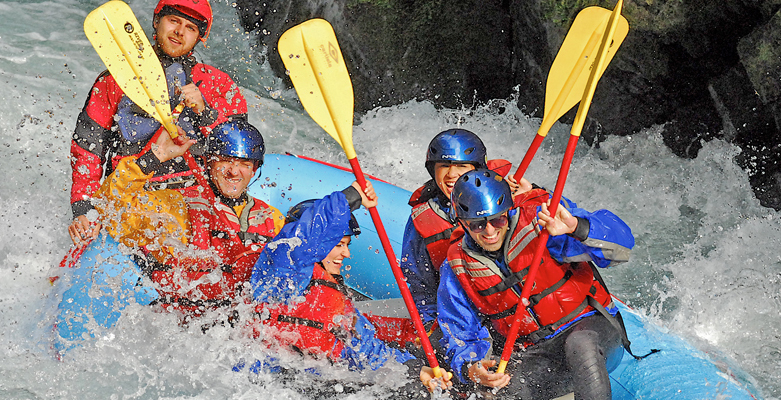 Even the most experienced rafter will get their fill of rapids on the Klickitat River! Early travelers with the Lewis & Clark expedition named this river after the Indian tribe that resided along the rivers’ edge. The term ‘Klickitat’ was translated by railroaders to mean ‘robbers’ and the US government said the term meant ‘beyond’. Either way you define it, a day on the Klickitat River will rob you of daily stress and fill your mind with memories beyond your expectations. The Klickitat River is located 2 hours east of Portland. There is plenty of camping nearby. The meeting site (Leidl Campground) is an excellent site for a weekend away from it all. If you would like to have a true weekend getaway, then combo a Klickitat River trip with a White Salmon River trip for a real whitewater weekend! River Drifters provides trips on the Klickitat River from late April through June. 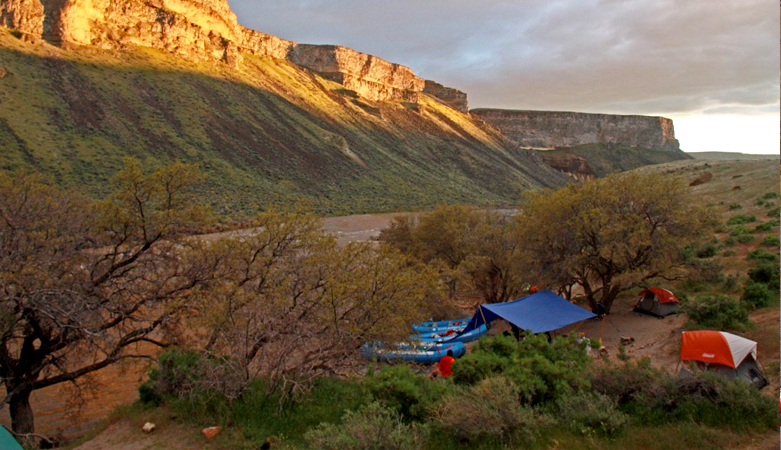 This remote canyon is one of the most spectacular wilderness trips that we run, not to mention 21 miles of rafting makes the Klickitat River the longest day trip that we have to offer. If a true wilderness setting, miles of rapids and a true daylong getaway, sounds good to you, then look nowhere else. Our trips meet at 10:00am and we are off of the river by 4:30pm. The Klickitat provides one with numerous rapids, excellent scenery and unforgettable memories! Midway through the trip, we will provide a well deserved lunch and will be served right on the river! Leidl Campground, located on the Glenwood/Goldendale Road, is the meeting site for the Klickitat River. There is great camping, offering ample space for 100+ people at group sites, and smaller sites for families and couples. All campsites are right on the rivers’ edge. Stinson Flats Campground is one mile south of Leidl Campground on the Glenwood/Goldendale Road. It offers large group camping and smaller sites, as well as great sites on the river. Peterson Prairie Campground is eight miles west of Trout Lake via Highway 141. This campground accepts reservations for both individual and group sites by calling (800) 280-2267. The travel time to our meeting spot at Leidl Campground is 35 minutes.